Annyeong Haseyo! More than a week has passed since my trip to Seoul, yet I still cant get over the beautiful sights, delish foods, and the convenience of almost everything. Half of the time, I find myself daydreaming in my office cubicle- imagining myself wandering the streets of Seoul, getting lost in the subway, staring at pretty people (yes, boys there are just way too pretty) and eating the best toppoki I've ever had in my lifetime. Seoul has so much soul and character- a totally different vibe from other Asian countries I've been to. I finally understand why friends who've been to South Korea have gone back numerous times. Once is not enough for this city of kimchi. There is just a whole lot of culture, tradition and city life that I would have wanted to immerse myself into, but given our 5-day 4-night stay, I had no other choice but to do it the tourist-way. No regrets though, I enjoyed every touristy moment and I look forward to getting a feel of the local life on my next trip. I met my best girl bud and travel buddy Monnette in Incheon Airport, together with Jarek and his aunt. We arrived the same day, October 8, but an hour apart. From the airport, we took the Airport Limousine No. 6002 and got off at the stop nearest our hotel- Jongno 3-ga. We paid 10,000 KRW each for the airport limousine. It was fast and very convenient. After alighting, we reviewed the directions going to our hotel- GS Hotel. The limousine/bus stop is right in front of Lotteria Fastfood. We looked for our landmark- Shin Han Bank, located few shops before Lotteria, and turned right at the corner, walked past GS25 convenience store until we reached the second alley with a sign that says "To GS Hotel." 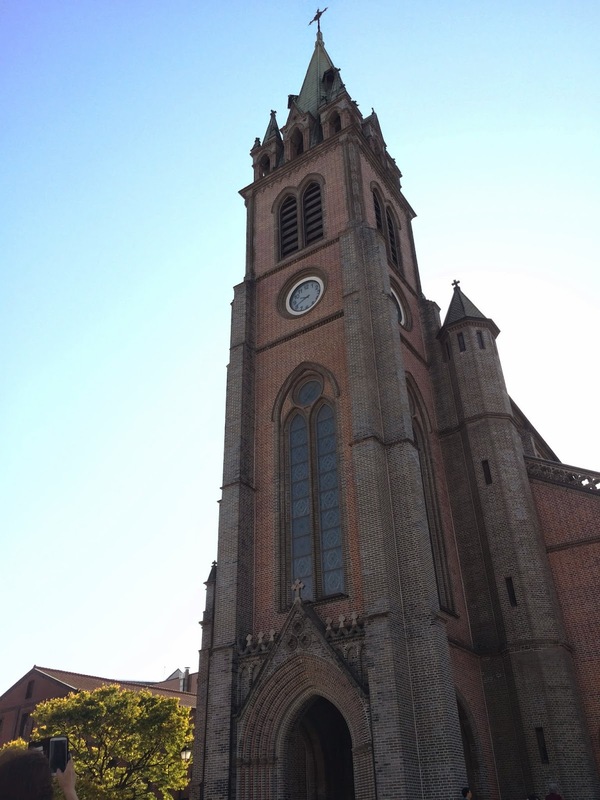 It was only a 5-minute walk from the bus stop, which was also next to Jongno-3ga subway station, Exit 14. The hotel was recommended by Monnette's sister, Mylyn, who went in early April. The hotel exceeded my expectations- clean, great location, and budget-friendly. We paid a total of Php 17,361.58 for a triple room during our stay (or Php5,780/US$135 per person). We checked-in at past midnight. The front desk officer gave us the portable wifi which Monnette had rented online. The internet company delivered it to our hotel. By this time, we were all famished. We left our luggage in the room and made our way to Lotteria for a quick bite. We slept in a bit and left the hotel at around 9:30am. We dropped by GS25 to top-up our T-money card (Subway card). Mylyn lent us four T-money cards which we loaded with 30,000 KRW- more than enough for our transportation allowance. T-card can also be used for purchasing items in convenience stores. Our first stop was Changdeokgung Palace. We went for the 10:30am guided tour in English and the 11:30am secret garden tour. This was the second palace established after Gyeongbokgung Palace in 1395. It has a secret garden, also known as rear garden, which was built for the private use of the royal family. According to the tour guide, this palace was added to the UNESCO World Heritage List in 1997. Our tour ended at lunch time and we headed to Insadong to meet with my dorm mate Hansol. Hansol and I stayed in the same dormitory during my university years in Taipei. We spent Thursday nights together with our Thursday dinner group. 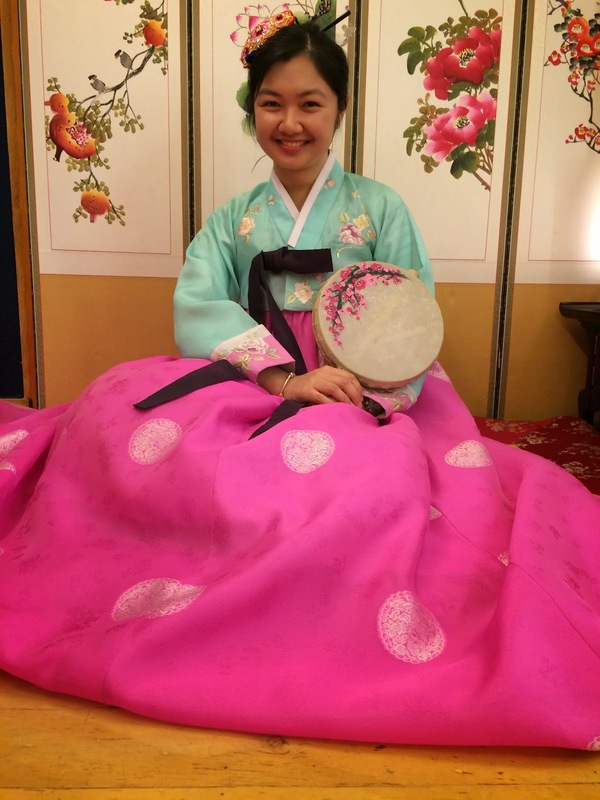 She took us to Jirisan restaurant in Insadong and enjoyed a hearty traditional Korean meal. After lunch, we passed by Bukchon Hanok Village then walked straight to Gyeongbokgung Palace, the main and the largest palace in Seoul. It was so massive that we got lost inside. We didn't make it to the 3:30pm English tour *sad face*. We entered through the back entrance of the palace and we could not find our way to the main entrance. It took us around 20 minutes to figure things out and by the time we found the gate, we were too tired. We just lined up to try on the traditional king and prince costumes and had our photos taken. We chanced upon the changing of the guards upon leaving the palace through its main gate. 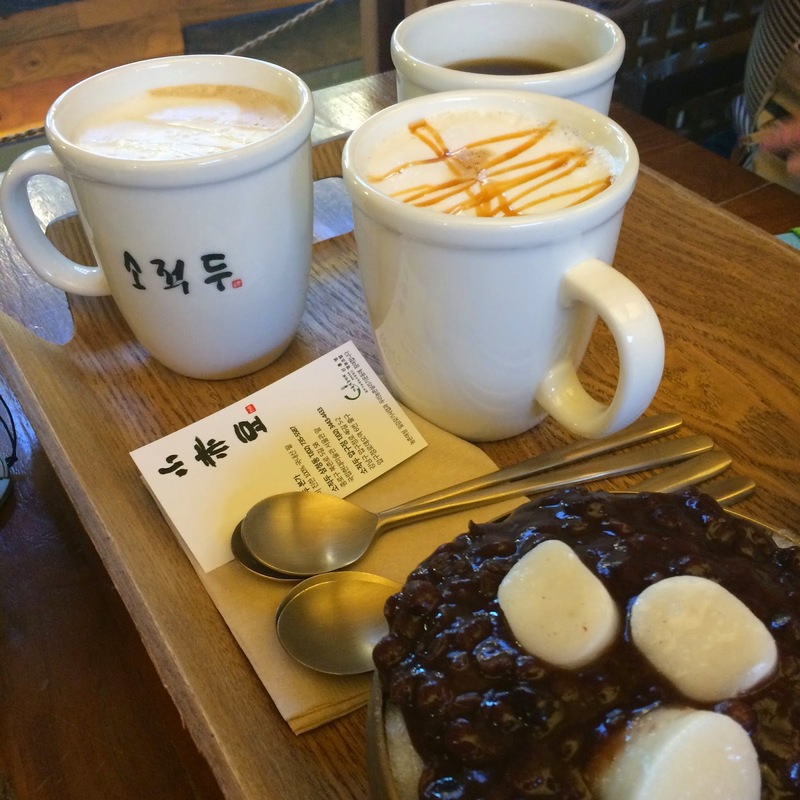 We then walked back to Bukchon and found a nice coffee and patbingsu (shaved ice dessert) place. Seoul has a plethora of coffee shops, perhaps more than the number of convenience stores here in Taipei. We people-watched for a while then took a cab to the hotel to rest our aching feet and legs. We ended the night with a sumptuous Korean BBQ at Baek Jong, Myeongdong. The whole of day 3 was spent in Everland- a land very far far far away from Seoul. I suggest taking the shuttle bus from Gangnam Station. We learned our lesson the hard way, and thus I'm sharing it now so you don't go nuts in all the subway interchange that you have to go through hahaha. Again, take the bus. We left the hotel half past nine in the morning and arrived Everland close to lunch time. We had lunch after buying our tickets then proceeded to the various rides. We paid 37,000 KRW (using the Visit Korea coupon, original price was 46,000 KRW), roughly Php1500. Waiting time for most rides was at 60-90 minutes max so we went to those parts that didn't need much waiting- the Kpop Hologram Show, animal park, etc. Monnette was dying to try the T-express ride, known to be the world's steepest wooden roller coaster. It had a waiting time of 100 minutes. Maybe next time. From Everland, we took a shuttle back to Gangnam. Since Gangnam is all too fancy, we hailed a cab to Myeongdong and satisfied our grumbling tummies at Gogung Bibimbap. 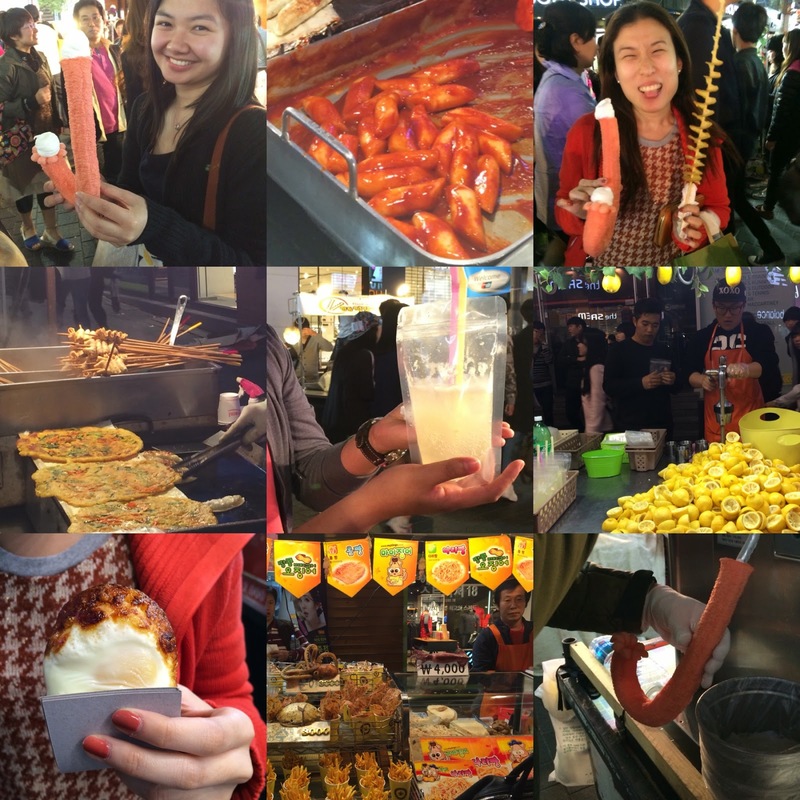 We had some time left before calling it a day so we shopped for a bit, and tried Myeongdong's street food. Everland, Line 2, Gangnam Station, Exit 6, walk to the Everland bus stop and take bus 5002 (1400 KRW, one hour ride, bus arrives every 15 minutes). The original plan was to take the bus from Top-gol Park to Nami, but since we called to reserve tickets only two days prior, we were told that the bus was already fully booked. Another tip: Ask the hotel to book a week or two before your planned schedule of visit. We had no other way but to take the subway from Jongno-3ga all the way to Gapyeong station. The 1.5-hour trip was not that bad. We had wifi and the scenery was nice, but I'd still prefer sitting on a bus. Upon reaching Gapyeong, we had a cab (KRW 4,000) take us to the Nami Ferry docking station. It was about 11 when we reached Nami, so we decided to have lunch at one of the dak galbi (Korean chicken rice) restaurants in the island, which came highly recommended by Monnette's friend. The dak galbi was delicious and perfect with a cold glass of Coke. After lunch, we lined up to get our entrance tickets. Foreigners have a discounted ticket rate of KRW 8,000, but you need to show them your passport as proof. We took the ferry to get to Nami Island. 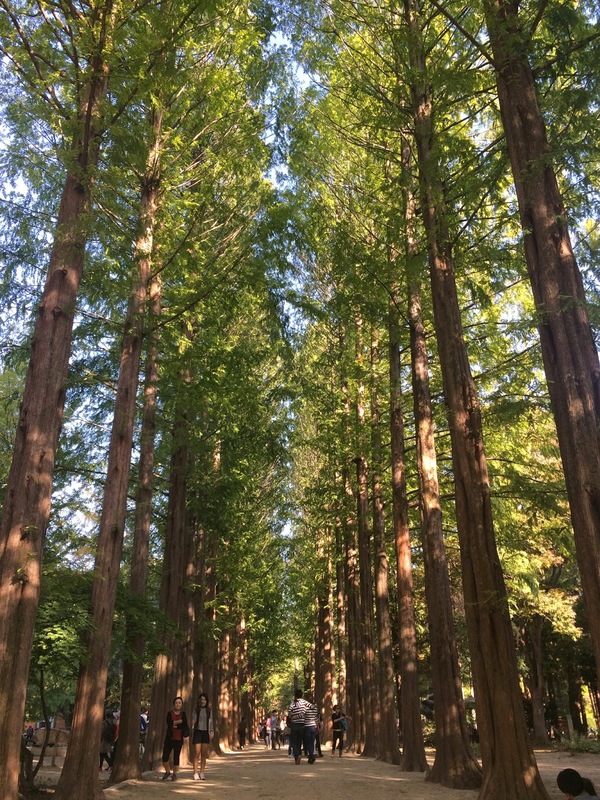 For those uninitiated, Nami Island became famous after it was used as a shooting location for the Korean drama "Winter Sonata." It's quite impossible to go around the island by foot, so we queued for the electric shuttle (KRW 5,000 per head) and had a good tour of the place. We rented a bicycle and biked around the island. We left at 4:00pm and headed back to Seoul using the same route- cab to Gapyeong station, then subway all the way to Jongno-3ga to meet with my other Korean friend Sunmi for dinner. Sunmi brought us to this restaurant famous for samgyetang, the famous Korean ginseng chicken soup. I forgot to ask for the English name of the restaurant because Sunmi and I kept on chatting and reminiscing our good old days in Zheng Da (our school in Taipei). Studying abroad gives you so many friends from all over the world and traveling allows you to see them once again, and look back on those crazy times. 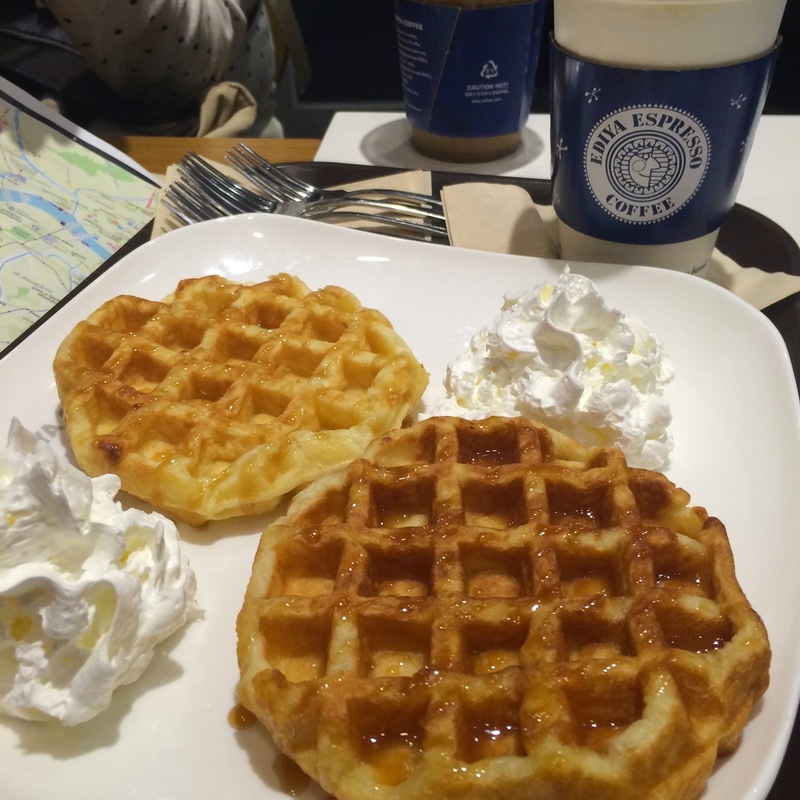 After dinner, Sunmi treated us to Ediya where we had coffee and waffles- the typical coffee shop scene in all of Seoul. Sunmi said Ediya is her favorite among all local coffee shop chains in Seoul. I could tell why, I loved Ediya's mint mocha! 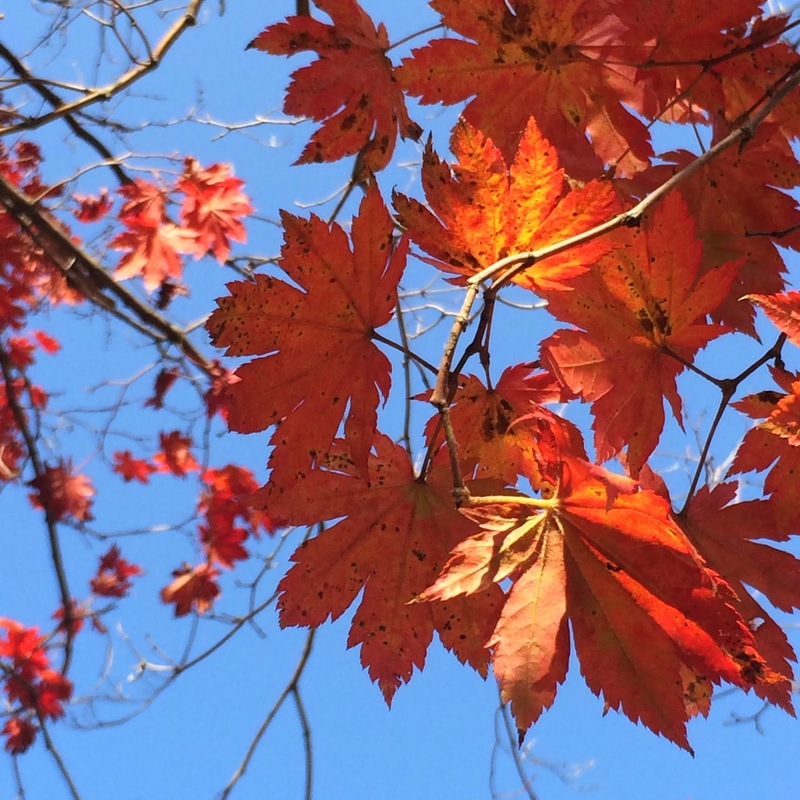 Nami Island is one bus-ride away from downtown Seoul. Purchase tickets in advance (through your hotel) and take the bus at Pagoda Top-Gol Park, Jamsil Station Exit 4. Alternatively, you can take the subway and get off at Gapyeong Subway Station, approximately 1.5 hours. From Gapyeong Station, you may take the shuttle bus to Nami Ferry or get a cab. Our last day in Seoul proved to be the most hectic and tiring as we tried to squeeze in all 3 places in one day. To save time, we took a cab from the hotel going to Myeongdong Cathedral, but instead of the 10-min cab ride, it became 20 minutes all thanks to the ongoing marathon. We were dropped off at a subway station and took the train to Myeongdong. It was already communion by the time we got to the supposedly 9:00am English mass, but it was still worth the trip. The photo session at Goguan Studio inside the Trick Eye Museum costs KRW 30,000 for a single 4R shot and 2 wallet-sized snaps. There's a different package if you want to have a full make-up on. We opted to just go au natural because we don't have much time and $$$. This is probably one of the happiest highlights of our trip! After the photo session, we bought tickets and went to the Trick Eye Museum (KRW 12,000 using discount coupon, originally KRW 15,000). We spent a good 30 minutes of our time taking photos and making fun of ourselves. After Hongdae, we wanted to shop for local grocery items in Lotte Mart, but upon reaching Lotte, we were told that they were closed that day- that day of all days. 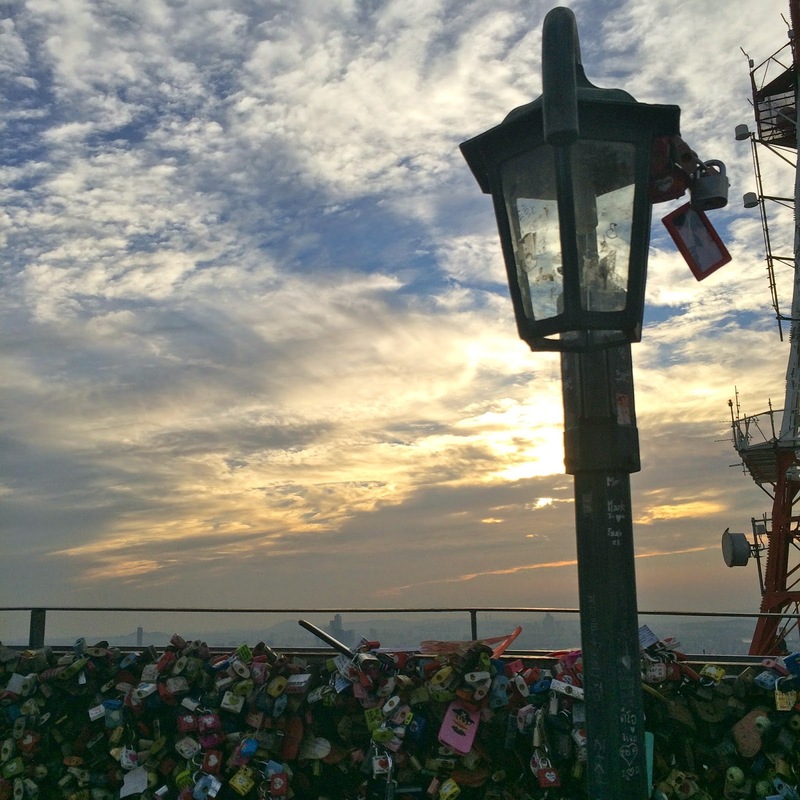 But anyway, we hurried to our last destination, the NSeoul Tower. We intended to take the cable car, but upon seeing the line, we gave up and just took the shuttle to the top. From the shuttle station, we still had to hike before we reach the grounds of the tower. We snapped a couple of shots and decided not to go up the observatory deck because the line at the ticket counter was spiralling like crazy. By 5:00pm, we got back to the hotel, freshened up, and went to the airport limousine bus stop across Lotteria. At exactly 6:15pm, bus 6002 arrived and we handed KRW 10,000 to the driver. You can still use your T-card if the balance is enough. We got to sleep inside the bus and more importantly, rest our feet. NSeoul Tower, Line 3, Chungmuro Station, Exit 2, take yellow bus #2 in from of Daehan Cinema and get off at NSeoul Tower stop. It is easier to take the shuttle, instead of walking from Myeongdong to Namsam Cable Car Station, unless you want to experience riding the cable car. Seoul was an adventure, a race against time. It was daunting for first timers like us, but it was truly enjoyable. It will help if you do research about the places that you want to visit, the schedule of the English tours, addresses, subway exits etc. because it will save you time, money, and energy. Download the Jihachul app, or the more user-friendly Explore Seoul Subway app. Print discount coupons of entrance fees and cosmetic brands in the Visit Korea website. Get advice from friends who have visited the place, and try to see which part of their itineraries will suit you best, and which won't. Purchasing T-Money cards is also very convenient. Koreans in general are very helpful, based on our experience. They will offer to help, or even call the establishment that you wish to go to and ask for directions. Language barrier will not be a big problem. The younger ones do speak English, or if you're Chinese and can speak Mandarin, you'll never get lost in Myeongdong or Insadong. Some Koreans who work in the restaurants and shops that we went to spoke to me in Mandarin, and I found it easier to converse with them. Monnette took Cebu Pacific flight to Korea which she scored on sale for only Php 7,000+, while I took Scoot Air from Taipei for about NT$10,000+. For details on Korean visa application in Manila, I would highly recommend visiting fellow blogger Kristine's blog on her step-by-step guide to obtaining a visa. Kamsamnida, Seoul! We will be back again, perhaps in spring or autumn. Saranghaeyo with all my heart, mind, and Seoul! I have sort of stopped looking forward to my birthday after that entry I've written three years ago, in which I promised that it'd be the last birthday I'll ever spend alone. Well that obviously didn't happen. I'm not sad. 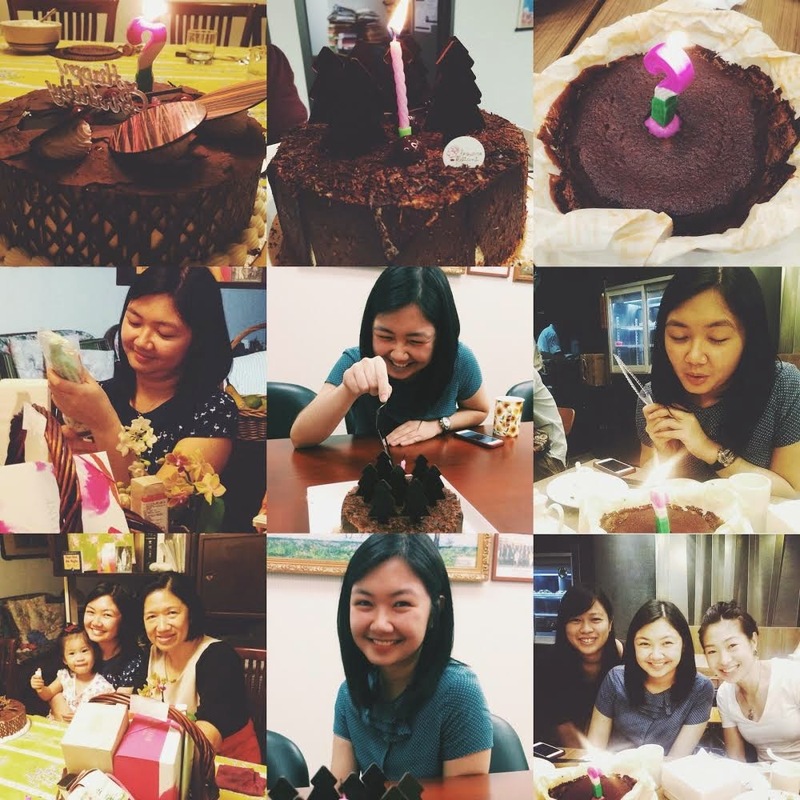 It's just that I miss celebrating my birthday with my family. I miss picking which restaurant to book, sharing a great meal and eating Hizon's mocha cake together. As I grow older, I no longer want the fuss of gathering all my friends and celebrating. I'm happy with going to mass to thank God for my life, and reading heartfelt messages from loved ones and friends- knowing that they remember. One thing I like most about birthdays though is that it somewhat serves as a pause button. It's a once-a-year-thing where you pause what you normally do for the day, and catch up with friends over chat, emails, texts and Facebook. Then when the day is over, you hit the play button again and continue where you left off. This year was rather simple- just an ordinary day. I woke up from the sound of messages from my phone and read them while half asleep. I found myself in tears after reading my mom and my brothers' messages. God I felt so terrible upon realizing that it's been five years since I last got my birthday kisses from my mom, and hugs from my ahia. I spent some time in bed, in conversation with God thanking Him for another year of life. I wonder what I've done to receive all His greatness, but I hope I'd be able to use my life to glorify Him. Year 26, I'm ready to embrace all your crazy adventures.